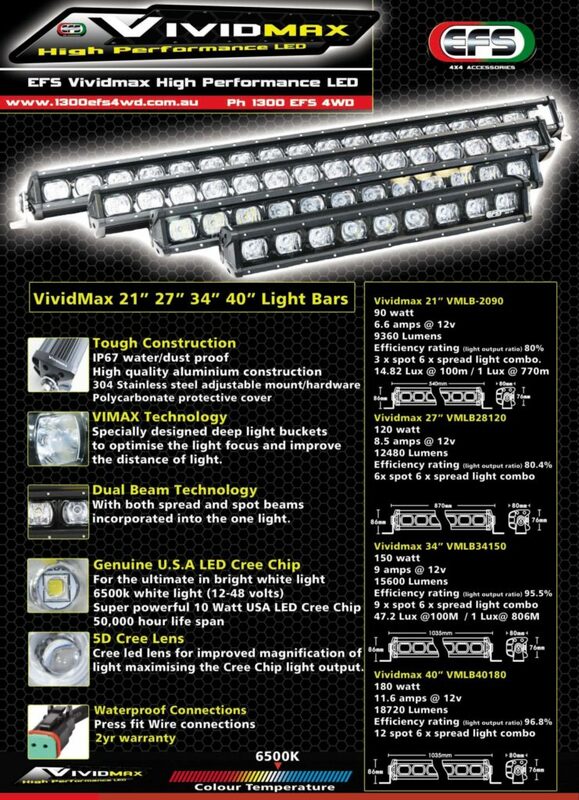 Are you in need (want) of high performance LED lights? 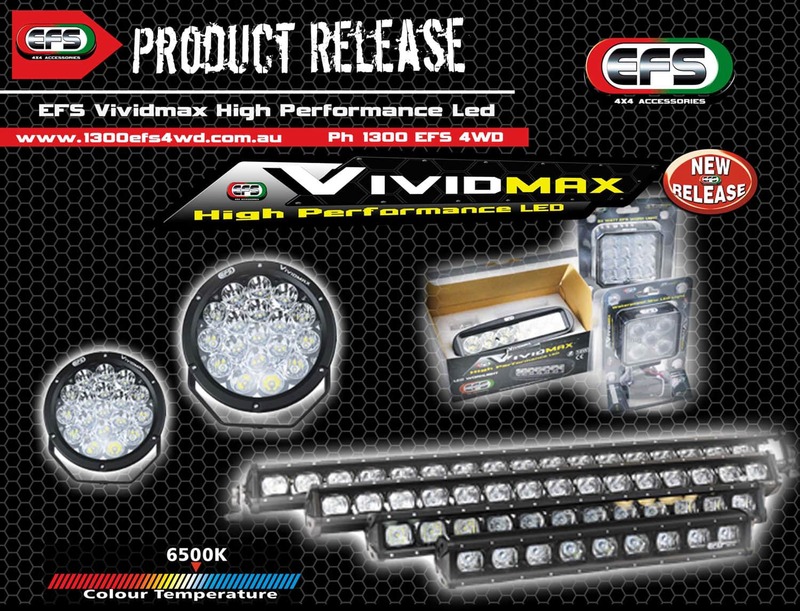 Well, 4X4FNQ have you covered with its range of EFS Vividmax High Performance LED light range. Here is a run down of EFS spot lights, EFS light bars and EFS head lights. 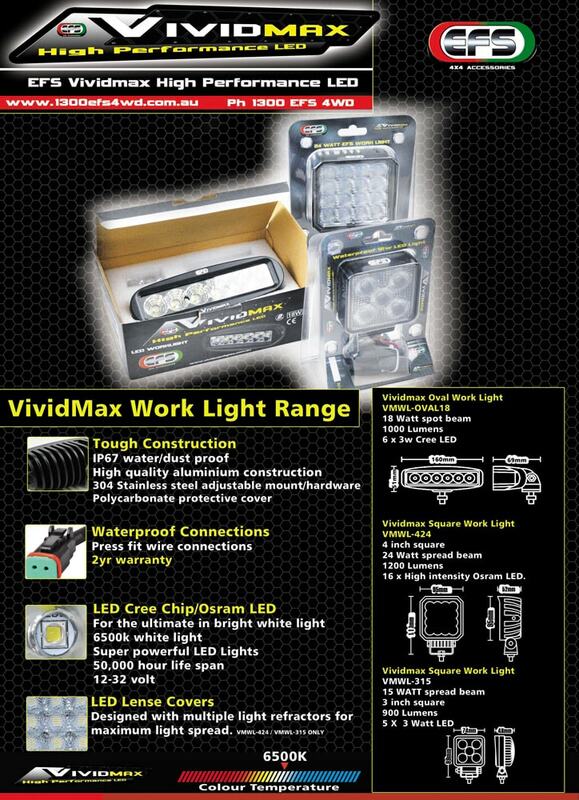 With its high quality, water/dust proof aluminium construction, these lights are tough. 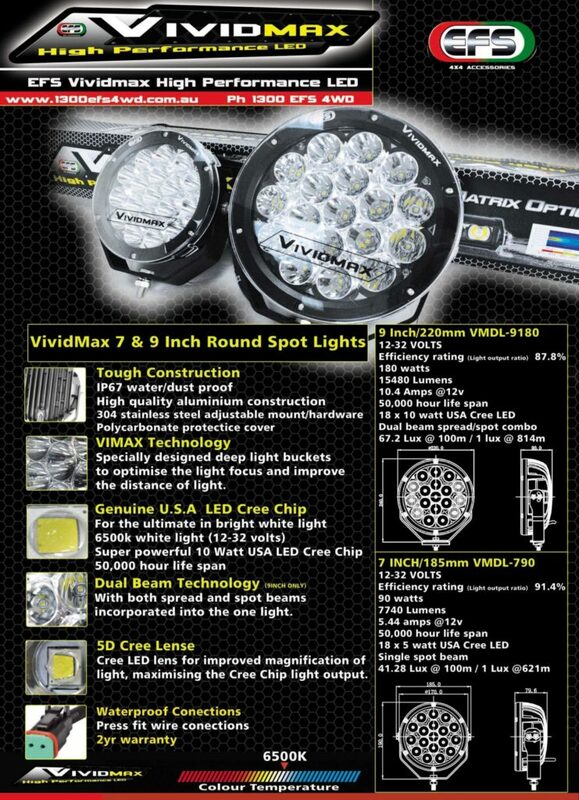 It’s VIMAX Technology is designed with deep light buckets in order to optimise light focus and enhance the distance of the light. 3 x spot 6 x spread light combo. Call 4X4 FNQ for all your EFS 4X4 accessoroies. As the #1 EFS 4X4 distributor in Far North Queensland with 15 years product experience and knowledge, you can always buy with confidence.